Ever since the college admission process began - from 22 June to 6 July -- complaints poured in from students that Trinamool Chatra Parishad (TMCP) college union members were demanding money from them to ensure admissions to colleges. Chief Minister Mamata Banerjee's surprise stop over at Ashutosh College on July 3. The Mamata Banerjee government in West Bengal has suddenly extended the deadline for college admissions from July 6 to 10. In what is a clear admission by the state government that things have gone horribly wrong this academic year, the Trinamool Congress is set to send heads rolling sources have told NDTV. Jaya Dutta, president of Trinamool Chatra Parishad (TMCP), is going to be removed from her post in the next few days over allegations of rampant extortion under her watch. The extortion was allegedly by college unions affiliated to the ruling party, from students seeking admission to undergrad courses for the session beginning later this month. Top Trinamool sources said Miss Dutta would be replaced within 10 days. She was missing from party headquarters Trinamool Bhavan, on Wednesday, where she was to meet college unions. Ever since the college admission process began on June 22, complaints started pouring in from aspiring students that TMCP college union members were demanding money from them to ensure admissions. 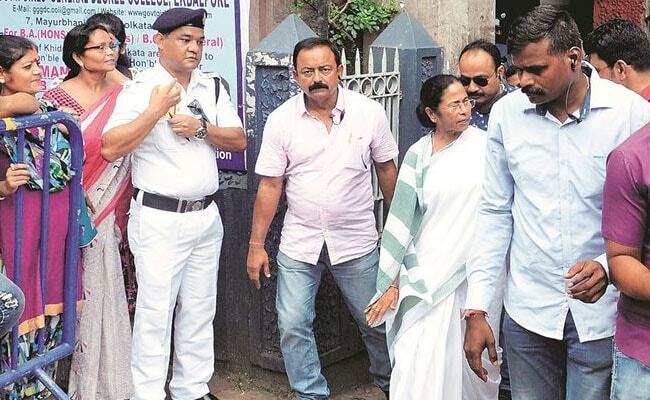 The complaints were so widespread that Chief Minister Mamata Banerjee herself stopped by at her alma mater, Ashutosh College in central Kolkata on Monday, to talk to students and send out a message that corruption in the admission system would not be tolerated. The higher education minister Partha Chatterjee visited three colleges with the same message. Earlier, at Trinamool's core committee meeting last month, Ms Banerjee had said, "The job of a student leader is to help students and not to make money. I am warning all student leaders, please behave." The situation turned so chaotic that the police had to put up notices outside colleges, urging aspiring students to complain to them if they were harassed. But even that didn't stem complaints of extortion. The extortion racket ran as follows: A student applies online for admission. His or her online admission is accepted and the name appears on the list. But the moment the student goes to the college for verification of certificates, as required by the stipulated cut-off time, union members physically stop him from entering the college unless he paid up. If the student refused to pay or failed to report to authorities on time, his or her name would be struck off the list and the seat became 'available for sale' by union members. On Tuesday, the state education minister announced students wouldn't have to go to colleges for verification of certificates and they could deposit fees to the college bank account directly. But that led to more confusion yesterday, forcing the minister to extend deadline for admission to July 10. Desperate students are now hoping things will fall into place in those four extra days.